Like so many other city-dwellers, Cam and Michelle Mather longed for a simpler, quieter life in the country. When they found a century-old farmhouse on 150 acres of land that was in their price range, they jumped at the chance to make their move. 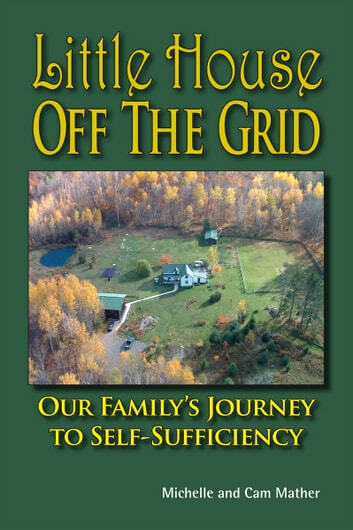 The fact that the home was “off-grid” with no power or telephone lines connecting it to the outside world seemed like a bonus! Twelve years later their life in the country is not quite as simple as they had envisioned but it is peaceful. There were more challenges than they could have anticipated as well as more rewards. 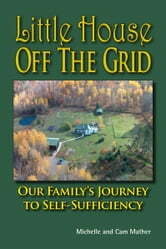 Along the way they installed more solar panels, erected a wind turbine and upgraded and replaced all of the major components of their off-grid electrical system. They installed a solar-thermal hot water system, figured out how to have a phone, internet and satellite TV and kept their home heated with wood cut from their own property. They also carved out a garden and began growing much of their own food. They acquired many new skills and knowledge but most importantly they learned to appreciate the value of good neighbors, good books and good manure. So You Want to Build a Little Log Cabin in the Woods?